Yes, more difficult than the previous ones, very amused. 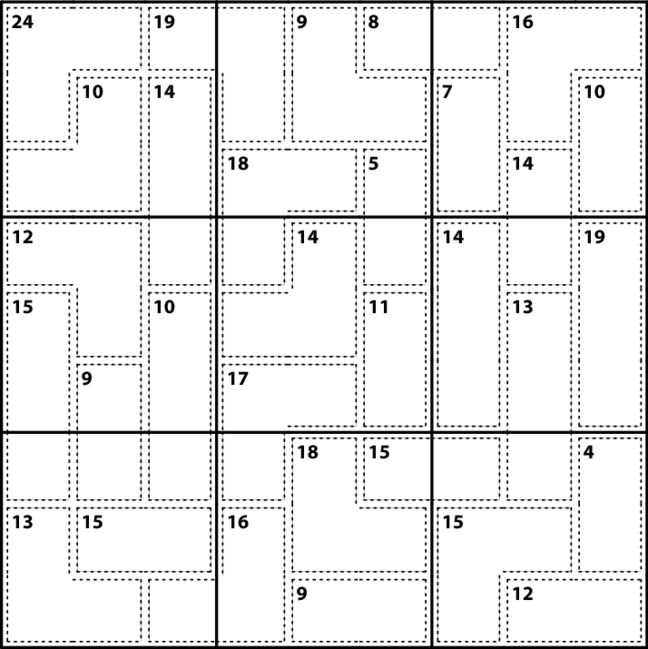 The major concern, after the initial work in the six rightmost columns, is determining the 1, 2 and 5 in positions a7, b7 and c7 or, inversely, if the 9 of the 3x3 box a4-c6, goes to cage 12 (the final destination) or to cage 15 (the three leftmost columns are in fact, at the end, the most difficult part). 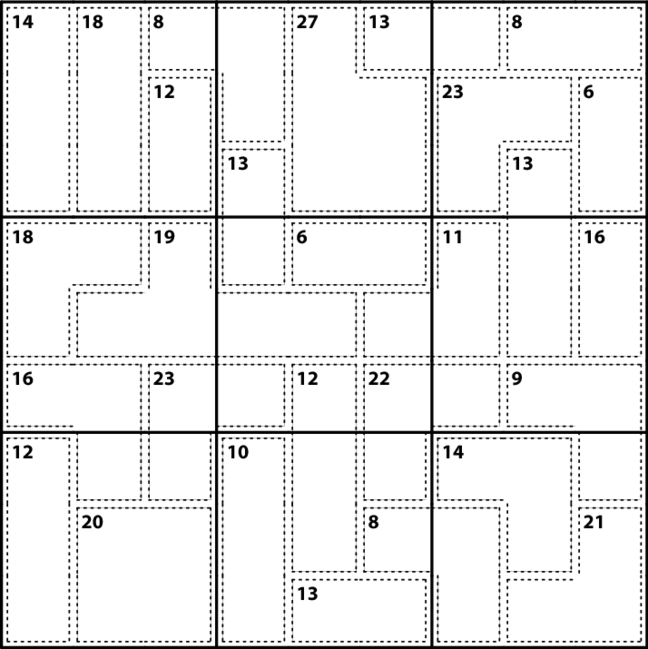 I suggest to add one of these to the "Killer Sudoku", as "Very Difficult", with 9 points for instance, everyday . I agree that these "even more difficult" puzzles should be added, rather than replacing the current Difficult ones. I love solving the Killer Sudoku puzzles, but when they get too hard, they're no fun. So I'd like to see three "doable" puzzles remain per current practice (I even struggle with the current Difficult sometimes), and leave the real "killers" to those who are able and willing to go to the lengths required for these super difficult puzzles. This one not specially difficult, the cage 8 in the 3x3 box g1-i3 is quickly determined to be [3,5] due to c1 = 1 (inmediate) and 23 = [6,8,9] (unique) in the same box g1-i3, so 6 = [2,4] (same box), g1 = 7 (>>> f1 = 6 >>> d3 = 5 >>> d1 = 4, d2 = 3), h3 = 1; also d4 = 8 and h4 = 4, h5= 8 (due to 16 = [7,9] in box g4-i6), etc..
Btw, I am not very sure about the level of difficulty of these puzzles, in the regular daily killer's, I have frequently the impression that the "medium" is harder than the "difficult" .